« Aye! I Canna Help Myself! Well no kidding! We romance writers have been yelling this at the top of our lungs. Stamping our feet and asking people to take another look with an open mind. For historical romance I turn to Susan Wiggs. I’ve read a lot of her historicals, but the one that stays with me is “The Hostage” set around the Chicago fire. She’s now writing a contemporary series, but it’s her historicals I really enjoy. Now my go-to author for romantic suspense is Sandra Brown. 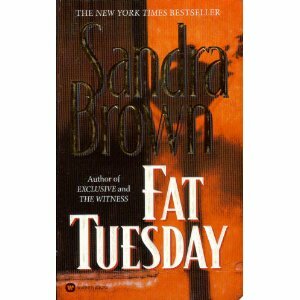 Again, I’ve probably read my way through all of her titles in the library, but I’ve read “Fat Tuesday” several times. The woman certainly knows how to write edge of your seat suspense. She keeps the intrigue jumping and the romance crackling. But I love my science fiction. I know… it’s not everyone’s cup of tea, but I’m just enthralled by good world building. And Anne McCaffrey is one of the most talented, imaginative writers when it comes to creating new settings. Her “Freedom” series is amazing and sits proudly on my keeper shelf. I pick it up about once a year just to marvel and learn from her writing skills. But there are soooo many more. I’m loving Jessica Andersen’s “Final Prophecy” series based on the 2012 dommsday prophecy. And I’ve recently found Larissa Ione’s “Demonica” series which has me totally hooked! I don’t read a lot of romantic comedies (though I LOVE to watch that type of movie), but when I’m feeling like something light I turn to Kristan Higgins. There are others who write light comedies, but I just don’t enjoy them. Which is okay. There are so many romance genres because there are so many readers and their reading tastes vary as much as their culinary tastes. Wouldn’t it be boring if every restaurant served only Italian food? I hope Epic manages to find a great read among all those recommendations. Because as many of us know … you just can’t go wrong with a good romance. 2 Responses to ONE Favorite? Impossible! There would be no way I could name my favorite romance book of all time, but I love Sandra Brown as well! Kaily – What is it about people wsho think romance books are empty, lifeless stories? Let’s face it, they’re judging something they have no experience with.